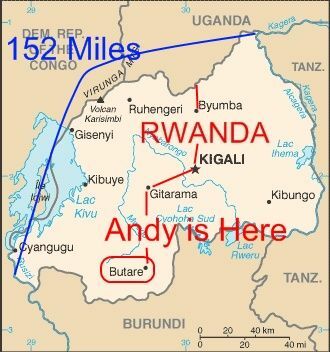 I left Gitarama, Rwanda and traveled to Butare. 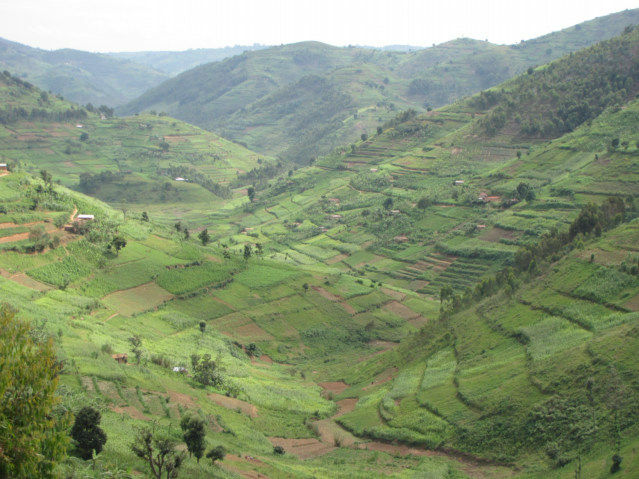 Rwanda is a beautiful country; the rolling hills of hoe farmed terraces have never ended. The view of the countryside has looked like this from the seat of my van the whole distance across the country. There are tall trees planted about 20 years ago on both sides of the road. I think maybe cypress giving a nice feeling like driving through shade tunnels. I am tempted to backtrack towards the Congo DRC border because the transportation is so good. There are sidewalks along some parts of the road! Rwanda is a small country about 152 miles from farthest points and the roads and public transport is great in comparison to Ethiopia, Kenya or Rwanda, the best I have encountered in East Africa. 90 percent of tourist and travelers in Africa have 4 wheel drives and are not going to experience public transportation, please take this into consideration they get to avoid the people who do not bath well.